Cheap and capable hatchbacks are a dying breed. 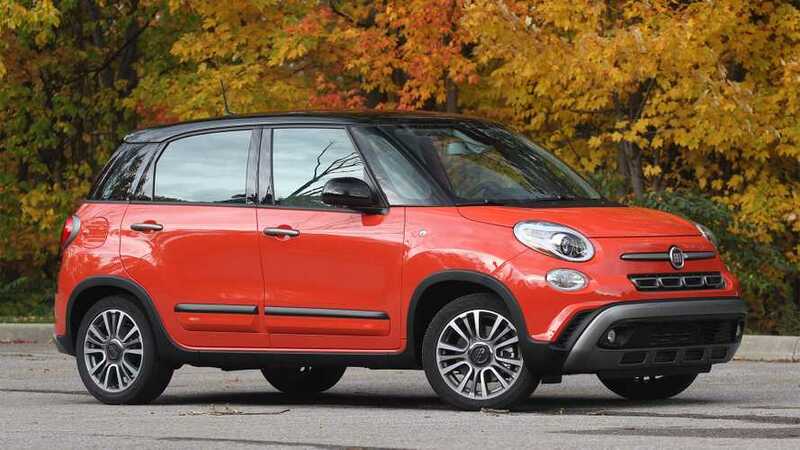 Take the 2019 Fiat 500L and competitors such as the Honda Fit, Kia Soul, Mini Clubman, Toyota C-HR, and Ford C-Max – they are all vying for attention in a marketplace that’s gone gaga over SUVs. Lacking either ground clearance or all-wheel drive (or both), these simple hatchbacks need something special to stand out. The Fiat 500L is certainly special; it just can’t be ignored with its peculiar look, quirky charm, and clever tricks. Yes, it has faults, but Fiat manages to counter them with an unusually enjoyable driving experience and a level of functionality that’s first-rate for a vehicle this size. The 500L isn’t the least expensive option amongst its competitors (the Honda Fit takes that trophy), but it comes close with a starting price of just $21,495. There are only three trim levels – the Pop, Trekking, and Lounge – and the latter two both start below $24,000. There are five total option packages, and more of them come standard with each successive trim level. My tester is a 2019 Fiat 500L Trekking with a starting price of $23,325 and only a few options. The first is the must-have Convenience Group, which at just $795 is a steal and includes niceties such as dual-zone automatic climate control and rear parking sensors. It also featured the optional Nero (black) roof for $345 and Fiat’s massive dual-pane power sunroof for $1,395. Even if you’re not a fan of sunroofs, I recommend this one, if only for the charm of being surrounded by a hemisphere of glass. Here’s a pro tip about the Fiat 500L’s pricing: This vehicle exhibits a very high level of depreciation once it leaves the dealer lot, which means shopping for one- and two-year-old examples with relatively low miles can save you a lot – sometimes up to 40 percent – off the cost of a brand new one. There’s no getting around what’s staring us in the face: the Fiat 500L is not conventionally attractive. And that’s the nice way of putting it. This fact is all the more surprising because Fiat knows how to pen pieces of Italian art. The rest of its lineup – the delightfully retro 500, the sporty 500X crossover, and the fun 124 Spyder – are all pleasant to behold. The 500L, though, has a form that’s been completely dictated by the vehicle’s function. 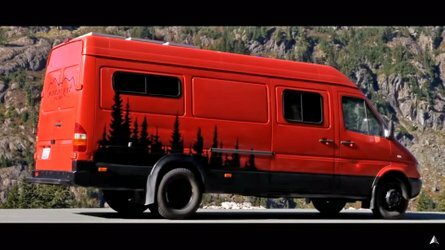 The trade-off is that you get a remarkably large and capable vehicle with a relatively small footprint. And who cares if it’s ugly on the outside; you can’t see it while you’re driving. You do see the interior, though, and the 500L’s cabin is well designed for the car’s price point, though some of the interior plastic on the dash and doors feels chintzy. Its controls for major systems such as the HVAC are simple and easy to operate. There are lots of cubbies, including a helpful shelf ahead of the front passenger that’s perfect for phones. Two glove boxes give you plenty of hideable storage. And lastly, the interior sports a bit of flair in the form of body-colored plastic trim across the dash. Perhaps it’s garish in the Orange Pastel (a.k.a. Arancia Pastello) of this test vehicle, but I don’t begrudge the designers having a bit of fun. They’ve struck a nice balance between the kitsch of a Mini Cooper’s interior and the ease-of-use in a Honda Fit. I found the 500L to be surprisingly comfortable on account of its generous interior space and upright seating positions. It offers bountiful room in every direction, and feels extra large inside thanks to a windshield that sits far away, as well as the highest ratio of glass-to-sheetmetal of any modern car I can think of. 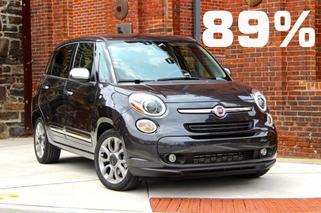 In terms of raw numbers, the 500L offers 98.8 cubic feet of passenger space, second only to the Kia Soul and Ford C-Max Hybrid (the latter of which is ending its run soon). Even if it’s down a cube or two, the 500L still feels larger inside than both. The seats themselves are unremarkable, but in a good way. The cushions are firm and there’s not much lateral support, which is not surprising in a utility vehicle like this. Because the bottom cushions are so high off the floor, though, the 500L offers a more van-like seating position than most hatchbacks. On a weekend trip that saw me driving over seven hours, both my back and bottom felt great after extended periods behind the wheel. As for cargo space, the 500L is straight-up tops. It offers 22.4 cu-ft of space behind the second row, and a full 68 cu-ft when that row is folded forward. That amount of space eclipses what many subcompact crossover SUVs offer, making the 500L a cargo-carrying champ. It also earns points for its cargo-area configurability. The rear floorboard is actually removable and can be installed at multiple heights, while the rear bench can either tip forward – allowing for extra tall items to fit – or fold forward – allowing for a flat cargo floor that spans almost the entire length of the car behind the front seats. Lastly, a very low lift-over height makes loading and unloading a cinch. The 500L features Chrysler Group’s Uconnect 4 navigation and infotainment system. It has a large seven-inch color touchscreen and is based on the same Uconnect systems that are universally praised by critics. This version, though, is not those. Its smaller screen, slower processor, and the horizontal orientation of its rectangular display (better Uconnect systems have either large squarish displays or very large vertically oriented displays) makes it more average than exceptional. It’s saving grace, though, is that Apple CarPlay and Android Auto compatibility is standard equipment on every trim level, and navigation is standard on the Trekking and top-level Lounge trims. 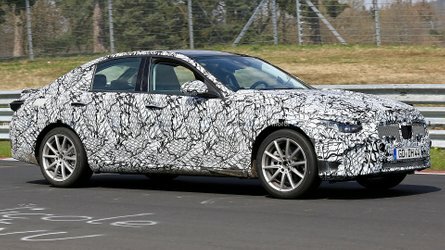 Other bits of standard tech that will be appreciated by buyers include power heated mirrors, USB ports front and rear, a vehicle information screen between the gauges, and auto-up and -down power windows. 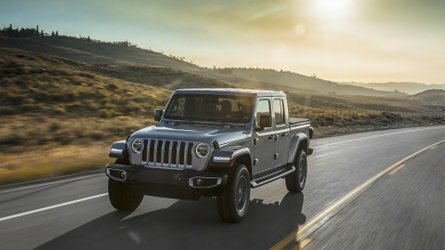 Additional standard items on just the Trekking and Lounge trim levels include heated seats, ambient LED interior lighting, and a Beats premium audio system. The 500L does not feel like a discounted, de-contented economy car, especially if you opt for the Trekking or Lounge trim level. The 500L is powered by Fiat’s turbocharged 1.4-liter four-cylinder engine mated to a six-speed automatic transmission that drives the front wheels (all-wheel drive is not an option). This engine is similar to the one used in the 500 Abarth hot hatch, but, with 160 horsepower and 184 pound-feet of torque, it has even more twist (only the auto-equipped Abarth packs the full 184 – the manual has just 170 lb-ft). It needs the extra power, too, due to the 500L’s larger size. 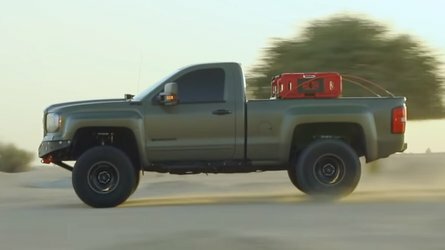 Yet it’s still plenty powerful for this 3,254-pound vehicle to feel comfortable in traffic and on the highway. Amongst its peers, the 500L is second in terms of power only to the Kia Soul Turbo. While its power is adequate, the 500L’s handling is above average for the class. The ride is a notch or two past neutral and on the firm side of the spectrum, which keeps the relatively tall body in check through corners and turns. 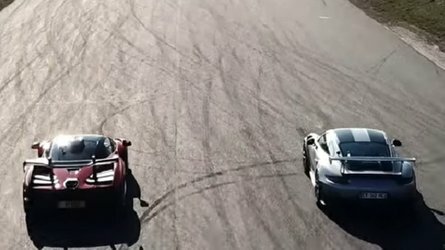 The handling mimics the small car dynamics of its little brother, the 500, in a size and shape that’s both larger and more useful. Fiat has failed to equip the 500L with any of the high-tech passive and active safety features that many cars, even affordable ones, are offering these days. Your basic anti-lock brakes and airbags aplenty are present, but things like blind-spot monitoring, rear-cross-traffic alert, lane-departure warning, lane-keep assist, adaptive cruise control, and emergency automatic braking aren’t offered at all. Contrast that with the Honda Fit, which offers Honda Sensing, a suite of advanced safety features that’s at least available on every trim level and standard on its top two. That said, the 500L has one safety feature that no other car in the class can match: visibility. Because the 500L’s belt-line is so low, its side windows are extra tall. There are nifty quarter windows that give you the ability to peer through where the A-pillar should be. The windshield is both tall and relatively upright, and the dual-pane sunroof covers practically the entire ceiling. The view from the driver’s seat is unlike that of any other car on the market, and it gives you the spatial awareness of an owl doing pirouettes. While it accepts regular fuel (though 91 octane is recommended) and features a handy capless fuel filler, the 500L’s fuel economy is the worst in its segment. Still, a combined fuel economy rating of 25 miles per gallon, with 30 achievable on the highway and 22 around town, isn’t awful. If efficiency is your top priority, though, consider the Honda Fit that returns a stellar 36 mpg combined, or a pure electric vehicle such as the Nissan Leaf or Chevy Bolt.